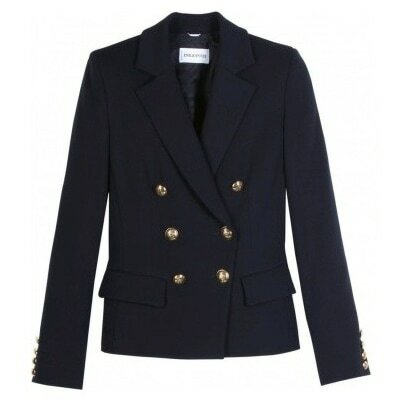 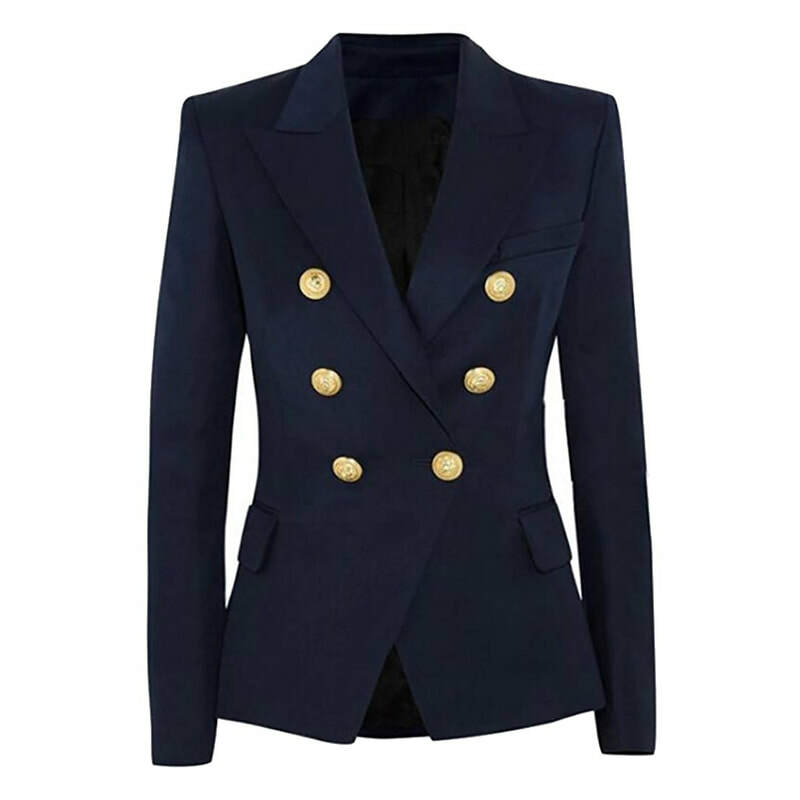 The Duchess of Cambridge was first seen wearing this Emilio Pucci navy double-breasted blazer jacket in March 2012, when she made a surprise visit with Team GB Hockey players at London's Olympic Park for the lead up to the London Olympic Games. 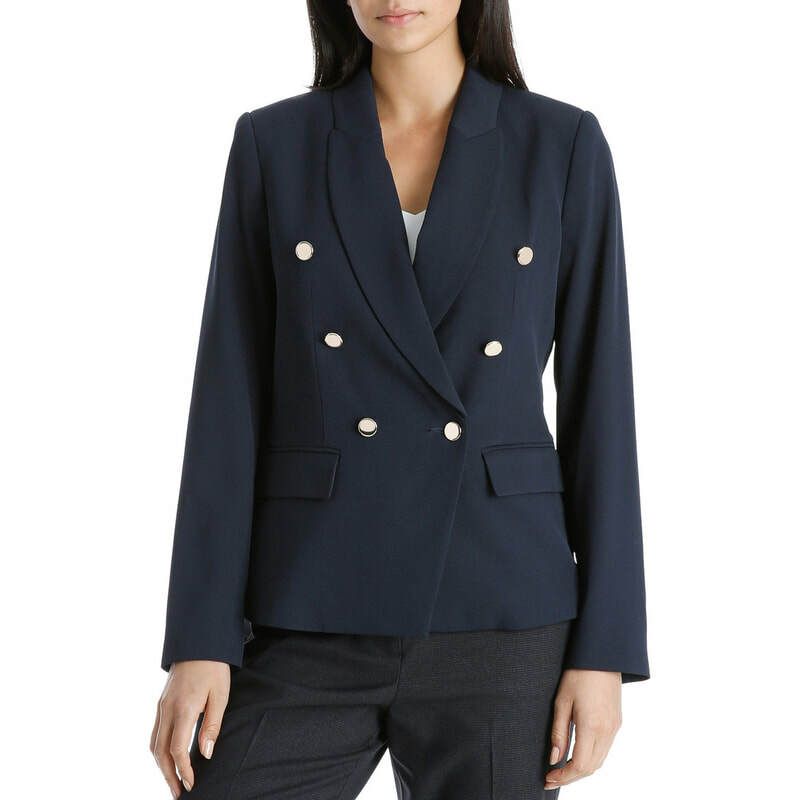 The jacket features classic double-breasted styling, notched lapels, double vented back hem, and gold buttons on the front and cuffs. 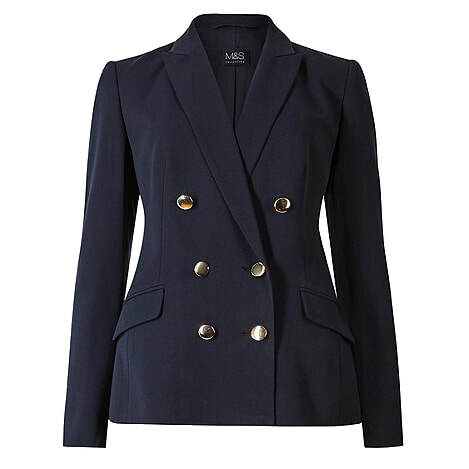 STYLE FILE: Emilio Pucci navy double-breasted blazer jacket as seen on Kate Middleton, The Duchess of Cambridge.